Mezzanine delivers advanced collaboration to teams in spaces of all sizes. From small to medium-sized rooms, to large executive briefing centers; find the Mezzanine series that fits for your organization. Teams need more than an audio and video experience to perform at their best. They also need a great content sharing experience. When teams need to make a decision, solve a problem, or respond to a situation, they do their best work when they are able to combine their knowledge and consider all of their options. 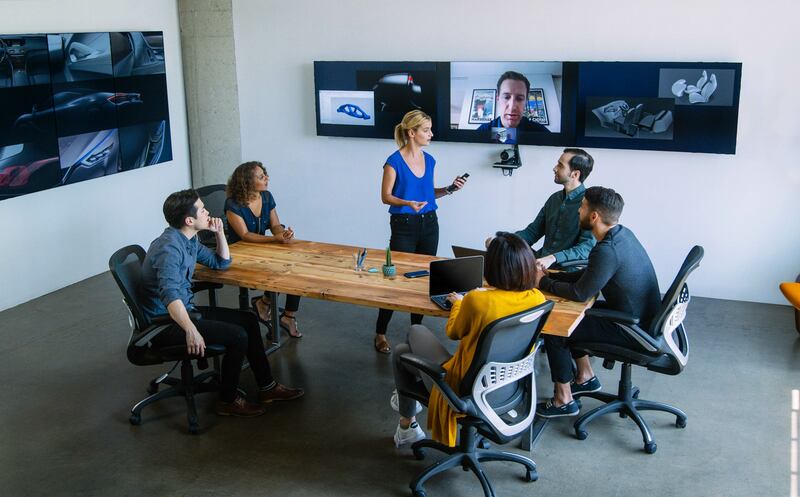 The 200 Series brings multi-stream collaboration to small and medium-sized rooms so teams can work with multiple streams of content from different locations and sources at the same time. The 200 Series easily integrates with dual screen video conference systems including best of class endpoints from Cisco and Polycom. 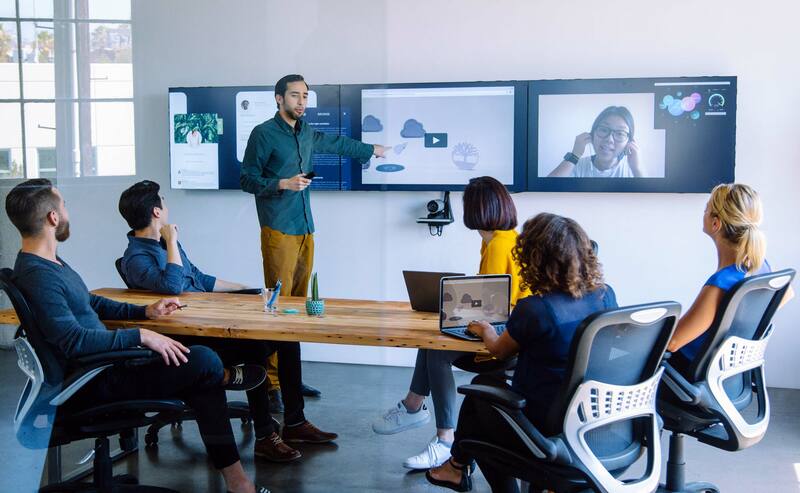 The video call experience is transformed into a content rich collaboration where everyone can share what they need to share, and see what they need to see, to maximize data access and knowledge sharing. Whether you need to refresh your existing video infrastructure or are seeking capabilities beyond standard video meetings, Mezzanine 200 elevates the conversation. It’s easier to decide when your data is side by side by side. In meetings, it is often a struggle to unite teams distributed across locations, and assemble data scattered across multiple sources and applications. Getting the right people, with the right information, together when you need them most is more challenging than ever. Mezzanine 300 features three displays, providing teams with an immersive sandbox for visual collaboration. Connected Mezzanine rooms create a shared workspace across locations. Distributed teams benefit from a common visual reference to assist in presenting and making sense of multiple streams of information. The 300 series shared workspace exactly matches our flagship 600 series, allowing customers to extend the Mezzanine experience to remote offices at a lower cost. If additional displays and surfaces are required to create a more expansive and physically immersive work environment, Mezzanine 300 systems can also be upgraded to a six-screen Mezzanine 600 configuration. 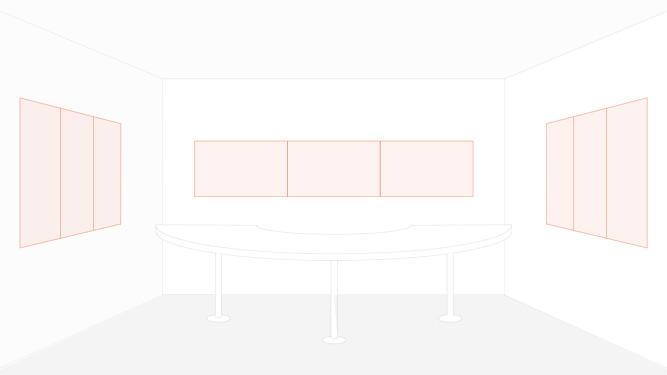 Create a truly immersive environment for collaborative work and customer engagement. Mezzanine 600 includes digital corkboards that extend the workspace to additional walls in the room. Multiple streams of content are free to be placed anywhere in the room from anywhere in the room. Multi-surface and spatial interaction deliver a powerful “wow” factor when pitching to prospects, servicing clients, or engaging your workforce. Deliver an unparalleled visual and interactive experience that can immerse, engage, and impress audiences far more than a standard presentation deck can. Storytelling is critical to sharing knowledge, conveying insights, and captivating an audience. 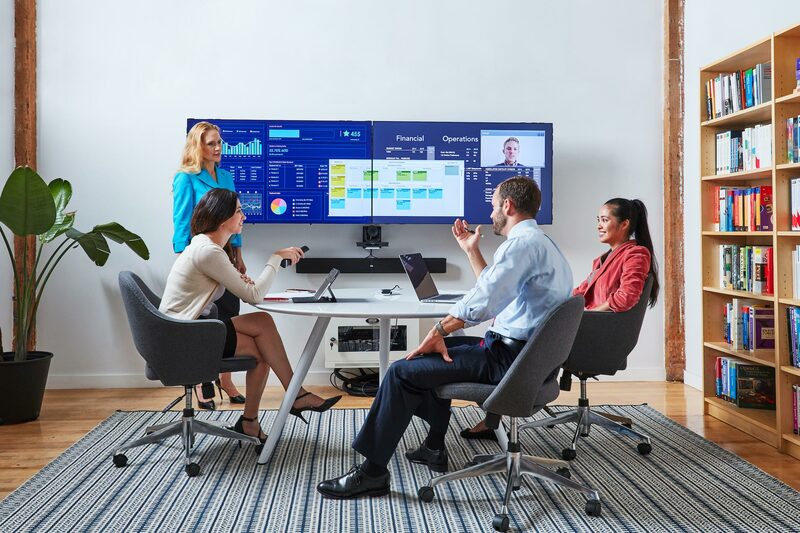 By enabling the visualization and distribution of multiple streams of content across multiple displays and surfaces in a room, Mezzanine 600 helps teams better present and explore content to accelerate decision-making and increase engagement. Mezzanine 650 is our most immersive and extensible offering. Up to six screens can be configured as a video wall, and additional Mezzanine appliances can be connected to extend the workspace across multiple walls. Create large-scale, architectural installations, flexible command centers, or custom environments that set you apart from your competition.